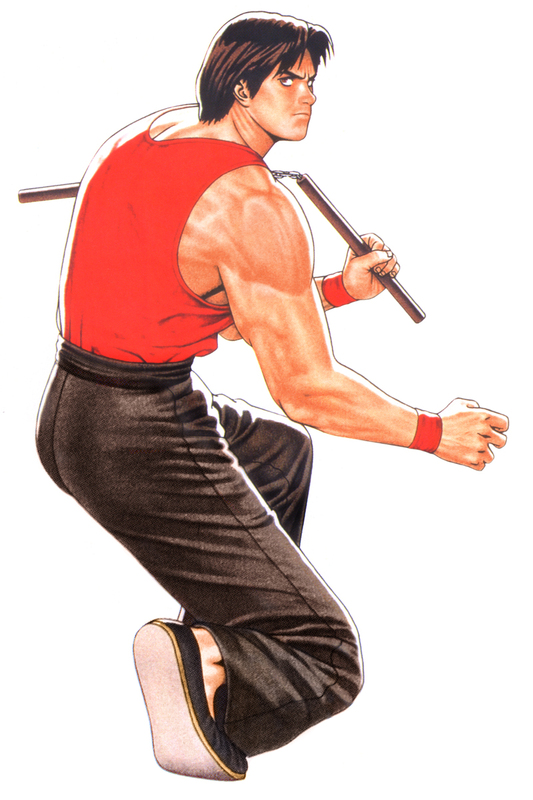 Hon Fu is a Hong Kong police offer who practices Kun Fu and specializes in using a nunchaku. 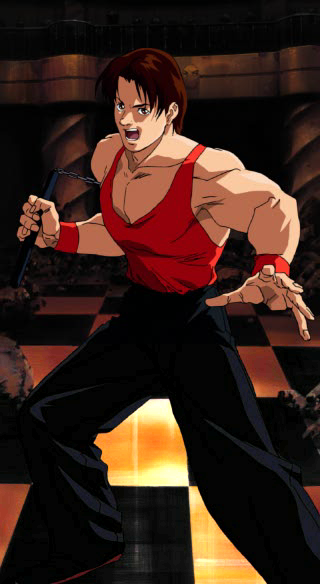 During the events of Fatal Fury 3, he's on a case concerning the mass illegal drug trade in Asia. He has a feeling that one of the main proprietors in his home country is Ryuji Yamazaki and follows the criminal to South Town, but never actually manages to catch him. Kim Kaphwan is a friend of his and apparently introduced him to Myeng Swuk. Kim and Hon Fu both share a strong sense of justice, Hon Fu's isn't quite as overzealous as Kim's. At times, Hon Fu also seems to be scared of Kim and jumps at the slightest mention of his name. He is also a friend of Cheng's as they admire each others' fighting styles. 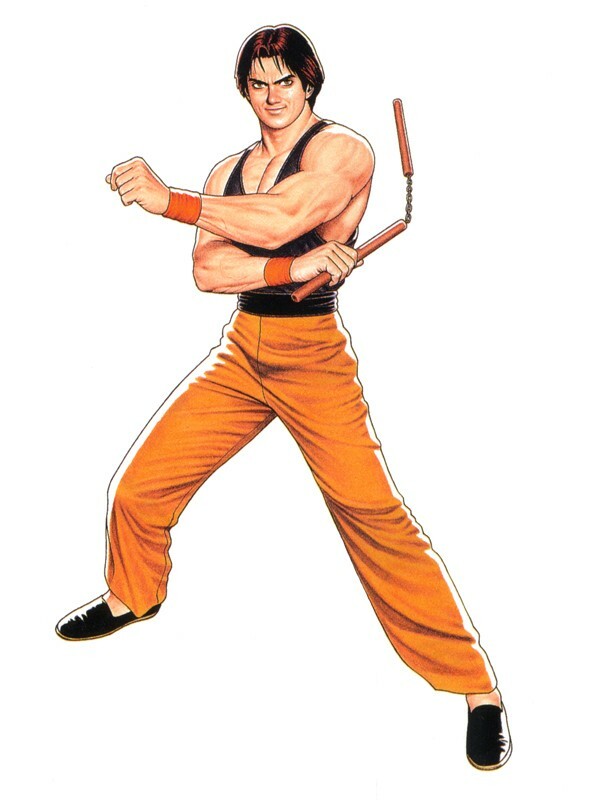 To sum up his design... Hon Fu = Jackie Chan with a nunchaku. ;) To state the obvious, Hon Fu's attire is pretty generic, but I suppose Jacky Chan's attire in his early movies was also on the generic side, so it kinda makes sense. 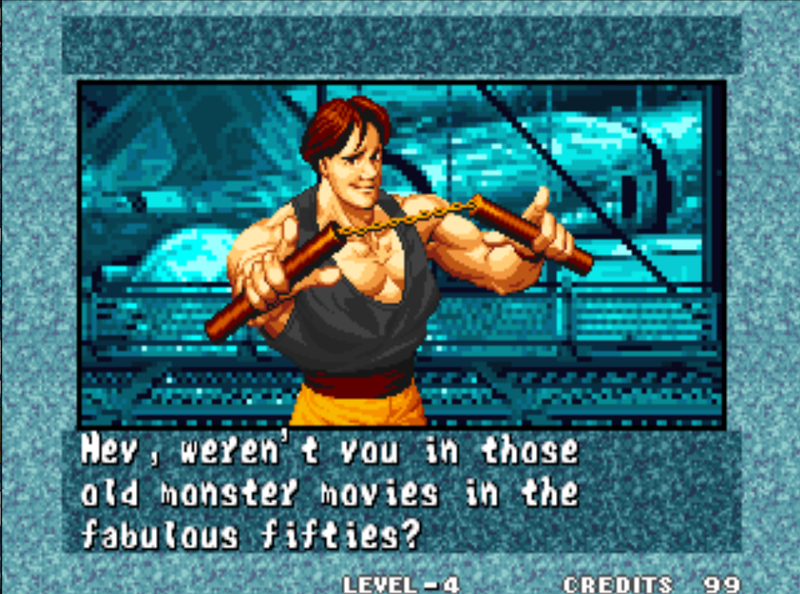 However, this fact doesn't help Hon Fu in a series with more exciting designs in the fighting game universe... and that's probably part of the the reason SNK hasn't brought him out of the Real Bout series. 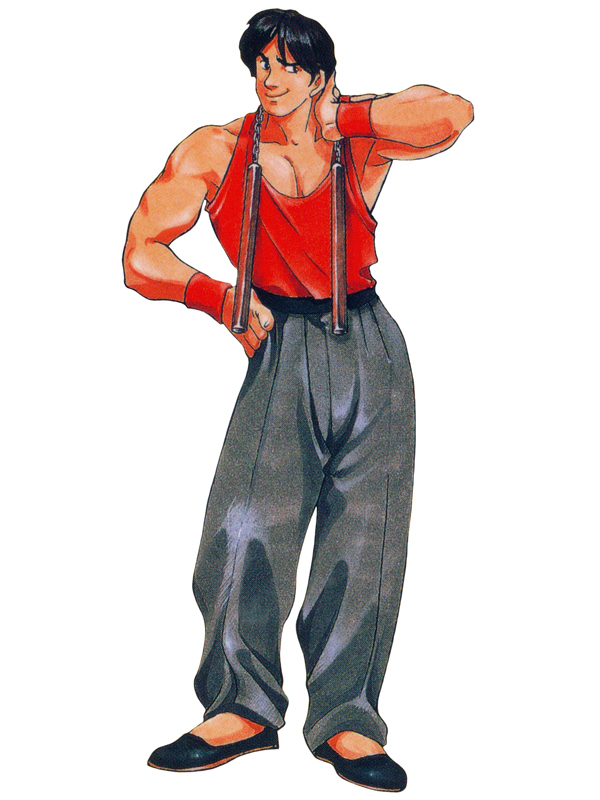 On the bright side, Hon Fu has a pretty entertaining fighting style & animations in some of the games he appears in, namely the later of the Real Bout series. He can be a pretty fun character to use if you give him a chance.